Throughout the start of 2018, the value of cryptocurrency like Ethereum and Bitcoin soared as digital currency becomes a real financial market. The revolution has mostly been driven by committed ‘miners,’ people who build high-performance PCs capable of processing data blocks from complex algorithms to mine Ethereum and other types of cryptocurrency. However, a super-powered machine is not necessarily needed for cryptocurrency mining as numerous online sources have opened that allow people to rent processor power. That said, many people will already have home computer equipment powerful enough for the job, so there’s no reason not to mine Ethereum yourself. Mining pools allow users to group machine resources and share the rewards for creating currency. 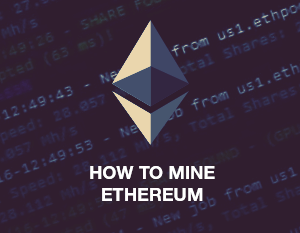 There are numerous mining pools that are worth checking out, such as Ethermine, Ethpool, f2pool, Ethfans, and DwarfPool. If you are planning on mining several cryptocurrencies, MinerGate is a good choice as it also pools Bitcoin, Zcash, Monero, and other currencies. QR codes are a thing again. Once very popular, people stopped using QR codes before a resurgence over the last year saw the digital information labels become important again. Android tablets and smartphones have been able to scan QR code for years, but Apple was behind the curve. Indeed, it’s only recently Cupertino added the functionality to iPhones and iPads with the release of iOS 11. If you are not running that iOS version because your device is not compatible, there is no in-built way to scan QR code. That may be a problem because the codes are useful for a lot of things, including buying tickets, finding contact info, viewing links, and more. 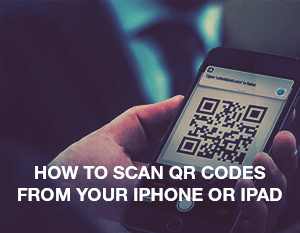 In this guide, we will show you the two very easy ways to unlock the power of QR code scanning on your iPhone or iPad. If you have ever visited Instagram on the web, then you will know you cannot upload a photo. The Facebook-owned service points users toward the Android or iOS mobile apps for image sharing. Many thought the situation was remedied when an official Windows 10 Instagram app launched in 2016. However, the app was almost redundant as it also lacked the ability to upload an image to the social network. 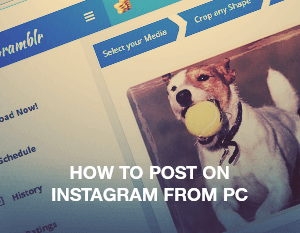 A lack of PC uploading is a pain, especially as some users may want to upload photos that are not on their smartphones, or perform robust editing on Photoshop before posting. Yes, the official path to Instagram photo uploading on PCs is closed, but there are always welcome unofficial methods. All the techniques revolve around essentially tricking Instagram into thinking the uploaded image is coming from a mobile device and not a PC. There are three ways to do this, so check them out below. 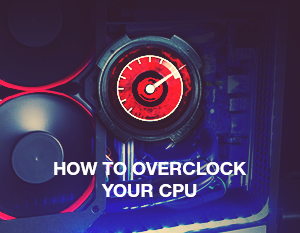 You may have heard of the term overclocking your CPU or PC. This is essentially increasing the multiplier of the CPU so that the processor runs faster and speeds up the computer. However, overclocking is not without risks, and beginners should know it can be expensive and time-consuming to fix problems. That’s because overclocking is rarely only about increasing the multiplier of a CPU; it also involves changing voltage settings, managing heat, and tweaking fan rotation velocity. Heat is arguably the most important consideration when overclocking a CPU. It’s a simple concept: the more voltage you run through components to make them faster, the more heat they generate. In turn, the more heat, the more chance of the components running too hot. Increasing voltage may only get you so far as PC components will only handle so much extra voltage before they start to have detrimental effects. So, overclocking to increase performance could result in worse performance if not done properly. Performance drops could include reduced frame rates for GPUs, corrupt processes, and boot issues. There are certainly benefits to overclocking. Done correctly, you will be able to get the maximum possible performance from your CPU. Here’s how to get your overclocking adventure underway. PDF format is one of those formats for which you need specific software or services to process it according to your needs. Thus, many users who work with this format tend to convert it to other formats, like DOC, which can be edited and viewed on practically any device. 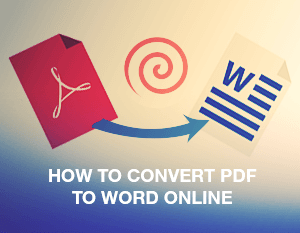 We previously wrote a tutorial about converting scanned PDF to Word. In today’s article we will share a guide on how to convert regular PDF files into editable Word documents online for free, without any downloads. Read on to learn how to do it in just three easy steps. Plenty of modern smartphone users ditch all their devices like laptops, tablets, digital cameras, portable media players etc., as in the majority of cases, it is sufficient to have one smartphone to fulfill all types of daily tasks. One of the most popular smartphones is an iPhone. A lot of people tend to have the latest version of the iPhone and prefer to use it for multiple purposes. Storing images is definitely one such purpose. iPhones, as well as many other smartphones, have a specific screen resolution, and that’s why it’s great to have your images resized to fit that resolution. 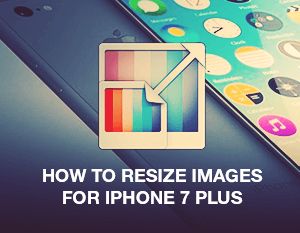 Below, you can find three-steps instructions on how to resize images for iPhone 7 Plus. While recording videos, it might happen that the resulting files may contain some extra timing in the beginning or at the end of the video. When this happens, there’s absolutely no need to record videos once again, as you can simply trim video with the help of online or offline video cutters. In a majority of cases, you will just have to set the start and stop timing and such services or programs will help you cut video in just a few mouse clicks – you just need to have the proper tools at hand. 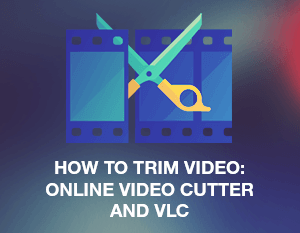 In this tutorial, we will show you how to trim video with an online video cutter and with VLC media player. Plenty of people not only want to capture their desktops, but also record certain programs, YouTube videos, or other types of content that require you to record or screenshot precise areas. With our screen capture software it’s possible to manually select the areas and record video and take screenshots of the full screen. When it comes to separate windows or areas, such recording and screenshot taking mode as “Area auto detection” will become handy. 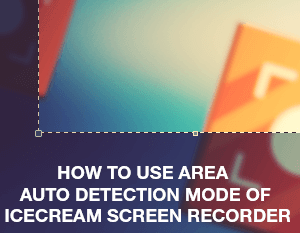 If you’re not familiar with this feature of the screen recorder by Icecream Apps yet, read on to learn more about how to use the “Area auto detection” mode of Icecream Screen Recorder. SWF format is a video format that was originally used for browser games and browser videos. A lot of online videos are available in this video format; however SWF is not usually simple to open – not all the default media players have the support of this format. The most convenient way here is to convert SWF to video formats that are perfectly supported by any video player; for example to MP4 or MKV. Icecream Screen Recorder will be very handy in such a case as it supports both MP4 and MKV video formats as the output, thus you can turn your SWF videos to MP4 or MKV format with ease. Read on to learn more on how to convert SWF to video formats like MP4 or MKV with the use of Icecream Screen Recorder. Two weeks ago we released the 4.0 version of Icecream Screen Recorder, which we polished with new, cool features and a new design for the History panel. The features added to this version were taken mostly from our hotlist that we created from the tips and suggestions we received from our users. The ability to finish the recording within a certain period of time was one of the most frequently demanded features. 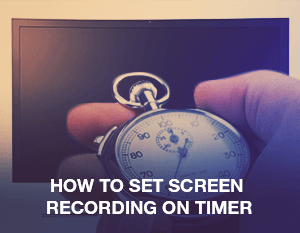 Thus, this feature was successfully implemented to the program, and we decided to provide a tutorial on how to set screen recording on a timer with Icecream Screen Recorder.